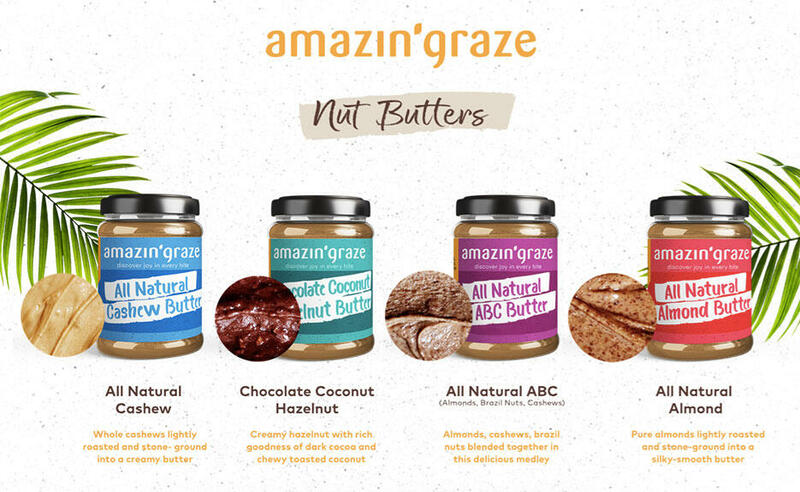 I’ve already been buying Amazin’ Graze by the box load especially for Chinese New Year (as to have a healthy option for gambling snacks besides the traditional butter-heavy ones in red-lidded containers). 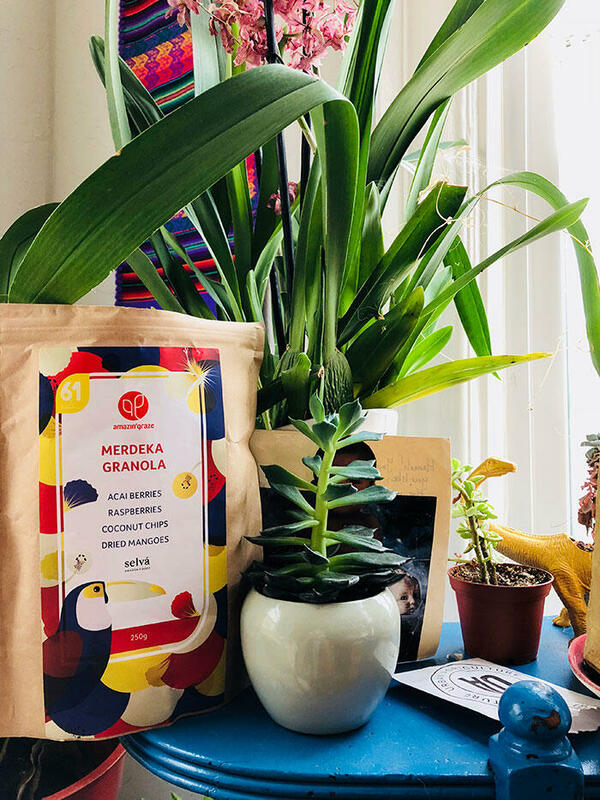 When the brand sent me a whole bunch to take with me to the States, i was more than happy to receive them as i knew they’d be enthusiastically inhaled. I didn’t take any pix of the products at Burning Man cos promoting brands just isn’t encouraged there (and also i can’t say i took that many pix cos handling a camera wasn’t feasible), but i can say that the nuts were much appreciated when we were sometimes wandering around the cold playa with no actual food in sight. Once i passed a packet around and it was gone in 15 minutes. 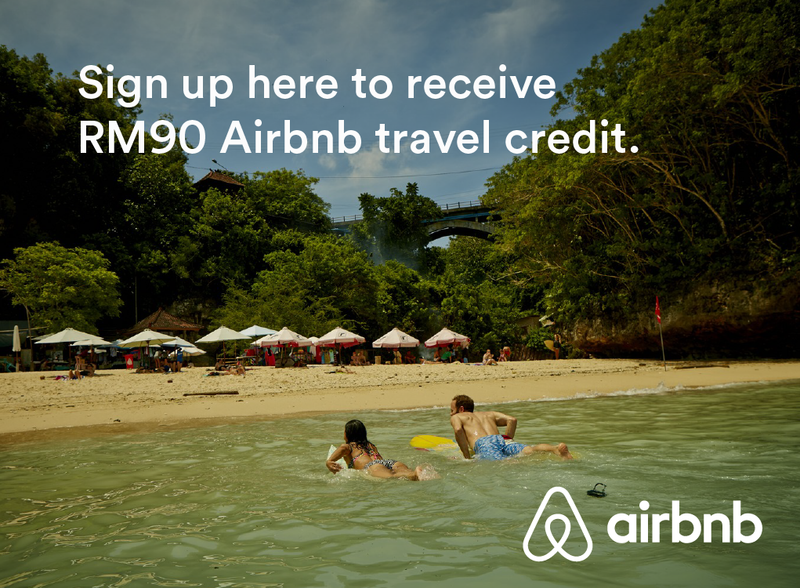 So great to feed people something nutritious with Malaysian flavours intact! 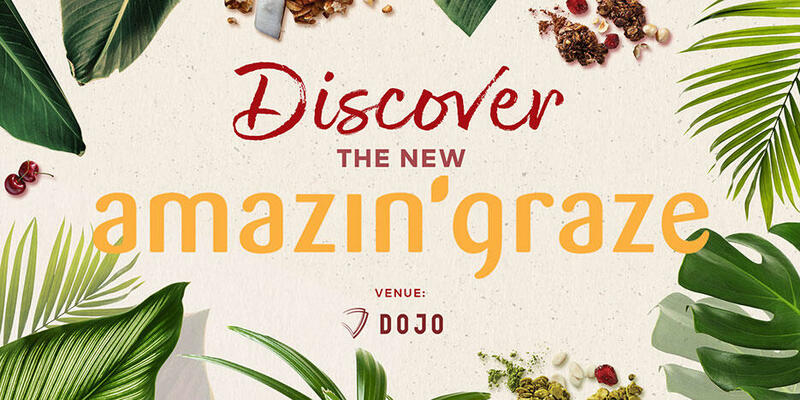 This Saturday 22nd, i will be a panelist at the Discover the New Amazin’ Graze event. I’m not even sure what they want me to talk about regarding Freedom. Guess i’ll be winging it? Haha. KinkyBlueFairy will be giving away 10x free passes! 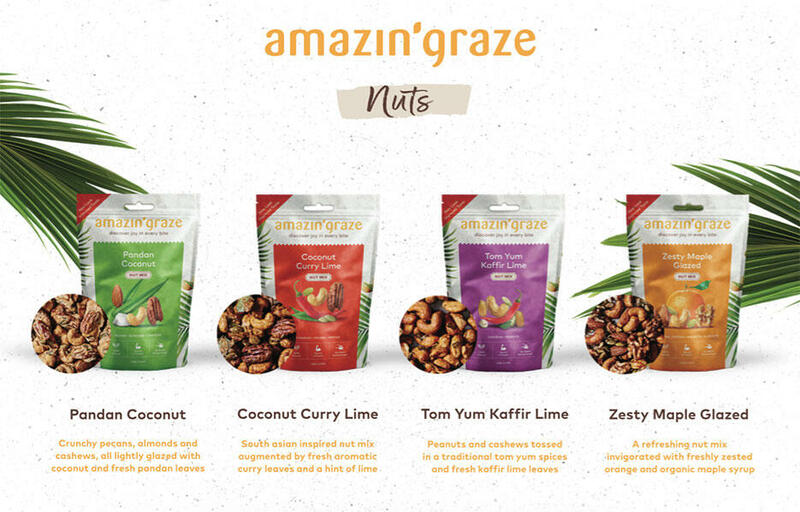 Discover the New Amazin’ Graze at Dojo KL, and witness the brand new look and improved taste of your favourite granolas, nut snacks, and nut butters. Meet the co-founders and grazers, and discover a day of wellness, amazin’ bites, passion, and freedom. Walking into the Amazin’ Graze head quarters, I was greeted by the Amy, one of the founding members of Amazin’ Graze along with Ching & Sabrina. All three women, who were previously working in the corporate sector, had decided to pursue their passion to a better healthy living lifestyle. It all started out in their home kitchen where they started brainstorming on the idea of what products to create. 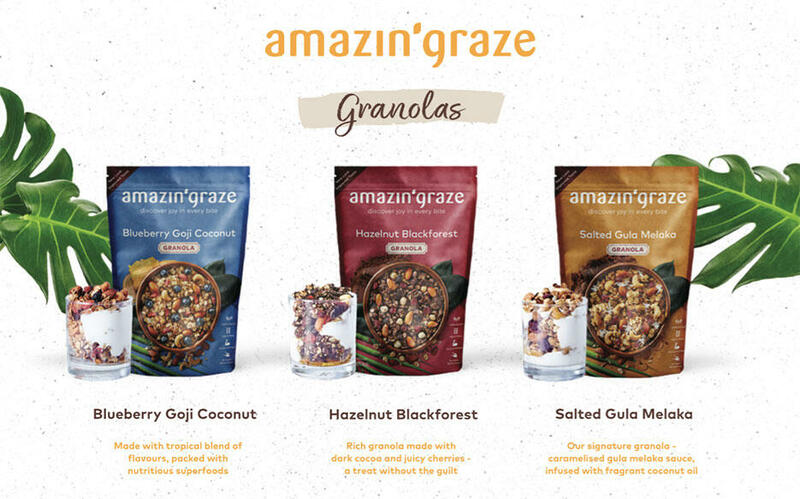 Amazin’ Graze first started out in 2015, where they were selling their homemade granolas at flea markets every weekend. Not long after that, business picked up and across the span of three years – has grown to a team of 40 people, 4 product lines, 3 seasonal ranges (Christmas, Merdeka, Chinese New Year) and over 200 retailers selling their range. 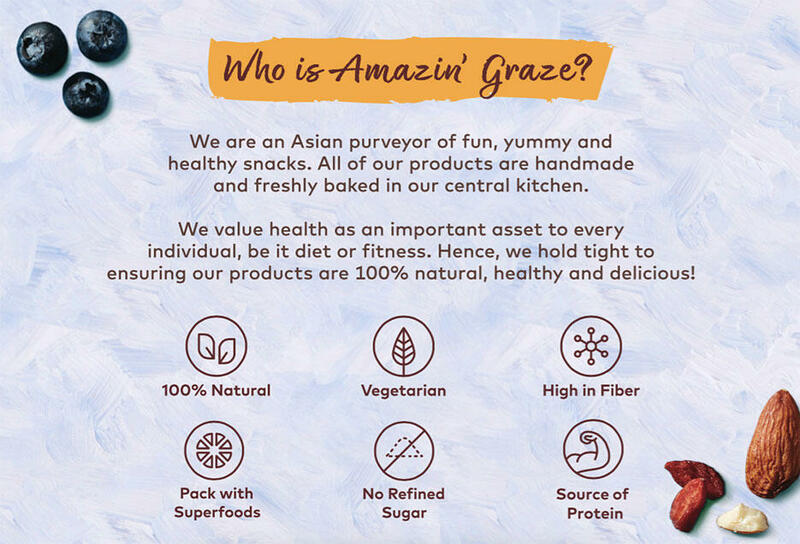 KBF and other fellow bloggers were invited to the homegrown brand’s headquarters for the revealing of the new & improved Amazin’ Graze. We were guided to their in house kitchen where Amanda (from R&D) told us that we were going to make our very own granola. I was excited! There were four stations, the first where we were given a mixing bowl with rolled oats in it. We started off by choosing our selection of nuts, seeds and superfoods (chia seeds, buckwheat, flaxseed, goji berries, coconut flakes). Next, we chose a flavour (chocolate, coconut or green tea). Obviously I went with the chocolate The next station held sweeteners (such as gula melaka syrup and honey) and canola oil, which was a lil tricky as Amanda had to weigh it to ensure the ratio was right. Dry and wet ingredients needed to be combined to make it stick together. Once everything was mixed, we had to place it onto a tray and into the oven it went! While waiting for our granola to cook, Amy brought us out front and showed us a short presentation on what changes Amazin’ Graze had undergone. 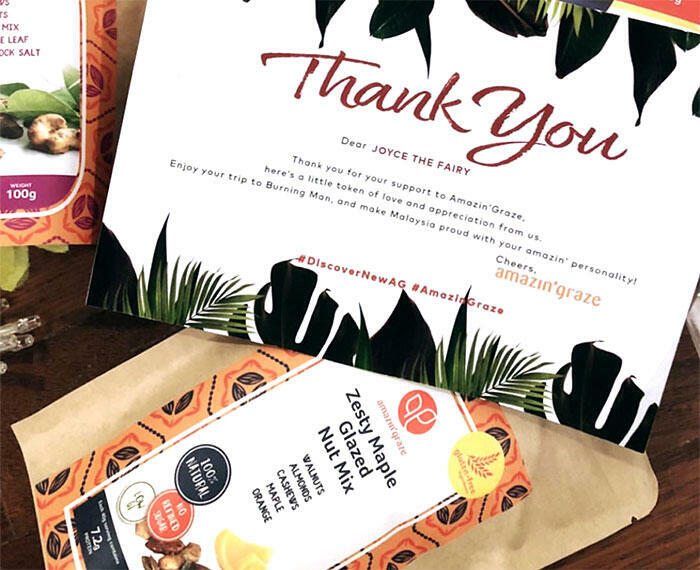 Besides updating their packaging and logo, local flavours were incorporated into their products, they shared how their plans to penetrate other countries by 2019. While Amy was talking, bowls of their nut mixes were placed in front of us to try! Anyone who knows me, knows I don’t like eating nuts but let me say how I was binging on their snacks nonstop. Exciting times for them! Kudos to changing my mind on eating healthier.